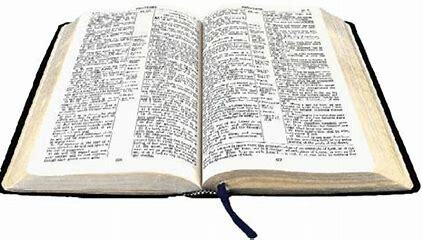 Wednesday, March 20, 2019, lesson title “Calling To Salvation,” printed text Luke 19:1-10, Devotional Reading 1 Chronicles 16:8-13, 23-27. Keep In Mind “For the Son of Man is Come to seek and to save that which was lost.” (Luke 19:10, KJV). By the end of this lesson, we will: IDENTIFY how Zacchaeus and Jesus ignored social taboos; REPENT of sinful attitude we may have held toward certain people; and CHALLENGE the stereotypes we have of others so we can better share Christ with them. Wednesday, March 13, 2019, lesson title “Calling the Lost” printed text Luke 15:11-24, Devotional Reading Ezekiel 34:11-16. Keep In Mind “But the father said to his servants, Bring forth the best robe, and put it on him; and put a ring on his hand, and shoes on his feet..For this my son was dead, and is alive again; he was lost, and is found. And they began to be merry.” (Luke 15:22, 24, KJV). By the end of this lesson, we will: IDENTIFY with the characters in Jesus parable; SENSE God’s grief over His lost children; and SUGGEST Culturally appropriate ways to rejoice with new believers. 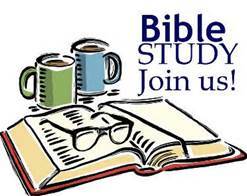 Wednesday, March 6, 2019, lesson title “A Costly Call” printed text Mark 1:16-20; Luke 14:25-33, Devotional Reading Philippians 3:7-16. Keep In Mind “And whosoever doth not bear his cross, and come after me, cannot be y disciple” (Luke 14:27, KJV). By the end of this lesson, we will: UNDERSTAND the cost of being Jesus, disciple; AFFIRM the call to be disciples who make disciples and face hard choices; and RECOGNIZE our need give up things to follow Jesus as members of His church. Wednesday, February 27, 2019, lesson title “Called to Humility and Hospitality” printed text Luke 14:7-14, Devotional Reading Luke 14:15-24. Keep In Mind “For whosoever exalteth himself shall be abased; and he that humbleth himself shall be exalted” (Luke 14:11, KJV). By the end of this lesson, we will: EXAMINE the teachings of Jesus regarding humility and hospitality; REFLECT on selfish personal tendencies; and IDENTIFY ways to respect those who are considered unworthy. Wednesday, February 20, 2019, lesson title “Living with God’s Loving Assurance” printed text Psalm 91:1-8, 11-16, Devotional Reading Romans 8:31-39. Keep In Mind “He shall call upon me, and I will answer him; I will be with him in trouble; I will deliver him, and honour him” (Psalm 91:15, KJV). By the end of this lesson, we will: RECOGNIZE the many ways God protects us; RELATE to the psalmist in gratefulness declaring God’s power of protection; and PROCLAIM our trust in God as our protector in the future.